Reynolds - TripImprover - Get More out of Your Museum Visits! Who is Reynolds? 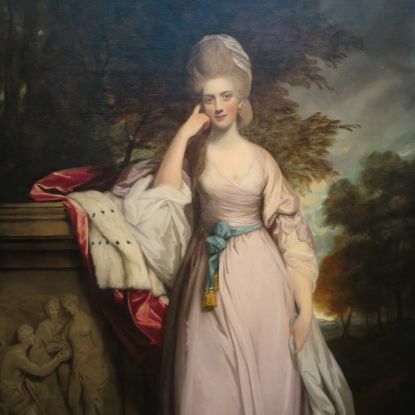 Joshua Reynolds was born in 1723 in Plympton, in the Southeast of England, and died in 1792 in London. He was a very successful portrait painter. Reynolds painted according to the Grand Style, which he described as a style in which the subjects were not painted realistically but were rather poeticized. He believed that a portrait should be an idealized and generalized representation of the sitter. He was one of the founders of the Royal Academy of Arts and served as its first president. As the president of the Royal Academy, he gave a series of discourses on art which have been a very valuable source of information about art history.